Sometimes erroneously thought to include all or parts of such neighborhoods as Bath Beach, Dyker Heights and Borough Park, Bensonhurst actually has a clearly defined border, with Gravesend to the southeast, midwood to the east, Borough Park to the north, Dyker Heights to the west, and Bath Beach to the southwest. 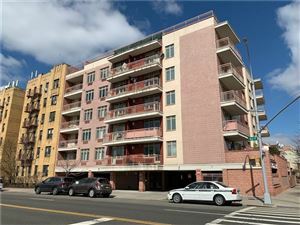 Starting at the neighborhood's southern tip at the corner of Stillwell Avenue and 86th Street, the border runs north along Stillwell Avenue to Avenue P, east to McDonald Avenue, north to 60th Street, northwest to Fort Hamilton Parkway, southwest to Bay Ridge Avenue, southeast to 14th avenue, south to 86th Street, and southeast back to Stillwell Avenue. Bensonhurst is served by two branches of the New York City Subway system: the D elevated subway line, at 62nd Street, 71st Street, 79th Street, 18th Avenue, 20th Avenue, Bay Parkway and 25th Avenue Stations; and the N open-cut line, at Fort Hamilton Parkway, New Utrecht Avenue, 18th Avenue, 20th Avenue and Bay Parkway Stations. The D elevated and the N open-cut lines also have a free transfer in the neighborhood at the 62nd Street D Station and the New Utrecht Avenue N Station. Bensonhurst is patrolled by the NYPD's 62nd Precinct. 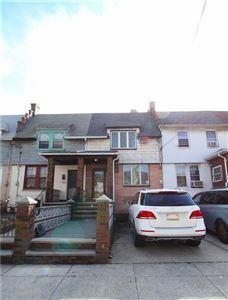 Bensonhurst derives its name from Arthur Benson, the former president of Brooklyn Gas, who in 1835 began buying farmland that formerly belonged to the Polhemus family. Between 1835 and 1850 Benson divided the farmland into generous lots that were sold in the following decades as part of the newly created suburb of "Bensonhurst by the Sea" (current day Bath Beach section), which was annexed into the 30th Ward of Brooklyn in the 1890s. Wilk Real Estate I LLC. 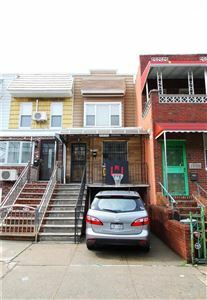 Brooklyn listings last updated Apr 18, 2019 1:42:pm.